Have you heard that Facebook video marketing is taking off? Facebook’s auto-play feature on native videos have caused video updates to soar to the top of the reach list. If you have no video marketing in your posting strategy you should consider looking into it. You don’t need to hire a professional videographer to create great videos. Often times fans actually enjoy a more rustic video that gives a behind the scenes look into your brand. On ShortStack’s Facebook Page we post everything from tutorial videos on our product to fun happenings around the office. One of our most popular videos was this one of our CEO, Jim, and his newest mode of transportation around the office. As you can tell the video quality isn’t that great, but it was a fun video that showed some insight into the office and our fans really enjoyed it. One of the most valuable features of Facebook’s video marketing is the ability to add a call to action at the end of your video. 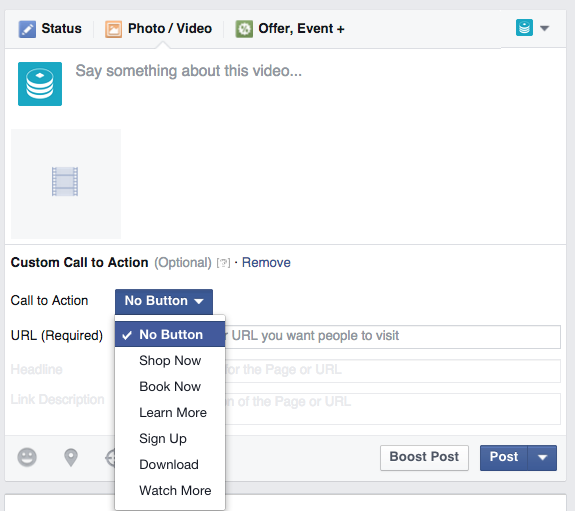 We’ve received quite a few questions on how to set up these calls to action, so today’s blog post is going to provide a quick step-by-step guide to adding a call to action to your native Facebook video. Step 1: In your Page’s status update box, click on “Photo/Video” to upload a video status update. 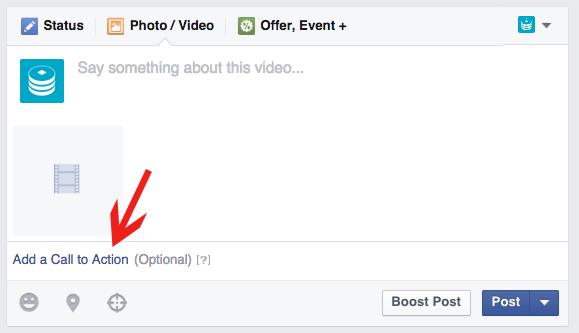 Step 2: Select the video you’d like to post to your Page. Videos need to be in their native form. Here is a list of video file types that Facebook supports. For us .mov and .mp4 are the most common file types we use. 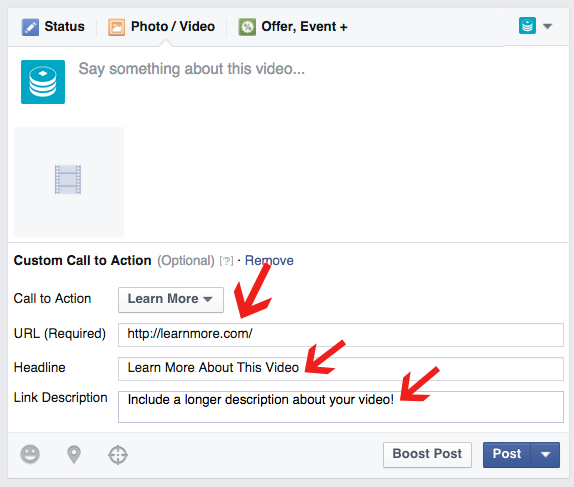 Step 3: Once you upload your video you’ll see an option to “Add a Call to Action.” You’ll want to click on that link. Step 4: After you click “Add a Call to Action” you’ll have the opportunity to pick what you want your Call to Action to say. Although the options are limited there should be something here for most businesses. You’ll want to consider the landing page you plan on sending people to to direct your Call to Action button. You may want to send them to a sales page or to a resource or even to a longer version of your video, so keep that in mind and keep your Call to Action button relevant. Step 6: Post your video! Once your video is posted, when fans watch your video they’ll see the call-to-action you’ve set up at the end of the video. See the example. After your video has been posted for several days you can click on the people reached number to see your videos views and your call to action clicks. Another way to add a call to action to your videos is do it from right within your video. You can use a still frame with a strong call to action or you can tell people the action you’d like them to take in your video. You can also add a call to action in the description of your video. Have you been using videos more frequently on Facebook? What have your results been?